Medigrity Innovations was founded in 2011 with the intention of bringing the latest technologies closer to Medical Practitioners – Doctors, Dentists, Medical Students, etc. – and to make the communications amongst themselves more productive and synergetic. Medical Community needs to be at par with or beyond the rapid and unprecedented pace with which Healthcare and Medical industry across the world are growing. 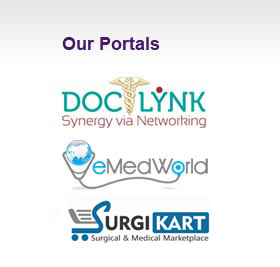 Medigrity fortifies Medical Practitioners and Healthcare providers in taking better informed decisions.